With his 2018 London shows selling 19,000+tickets in less than two hours and his entire US tour selling out in just one day, Feel Presents are proud as punch to announce to announce a one-off Australian show for pioneering UK electronic artist Four Tet. 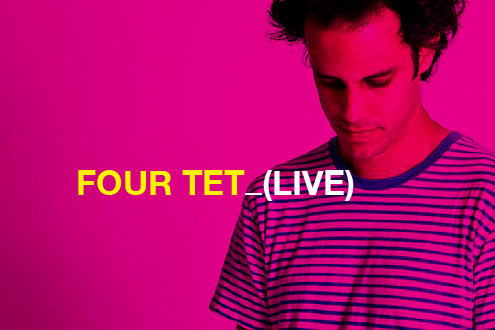 Four Tet a/k/a Kieran Hebden will perform ‘In The Round’ on the dance floor of Sydney’s iconic Enmore Theatre – a first for the theatre and an Australian first for Four Tet. Tickets for the essential one-off appearance will go on-sale 7.00am sharp Friday March 1st. No pre-sale, no ballot, first in first served. Tickets $19.80 (includes GST and booking fee. Some transaction fees may apply).